Choosing the perfect lehenga will be top of your agenda when you get engaged but you’ll need to pair it with some beautiful wedding shoes! Here is a complete list of what you need to know before you make that special purchase. Look for a design that would be suitable for your lehenga or saree, based on what you are wearing on your wedding day. It could be a peep toe, pump or high heel. Comfort is the most important thing to consider while buying a bridal footwear. Do a try the shoes on before you buy them. For this reason brides should, for the most part, shy away from buying shoes online. Walk around the store for 5-minutes before you settle with your purchase. Take your time to be sure whether you are comfortable in the footwear, as you have to spend the whole day and night in it. Be sure about what exactly your feet wants to wear. There are a lot of options to choose from. Like high heels, wedges, bellies, kitten heels, flats or juttis. 4. Are They ‘Your’ Color? 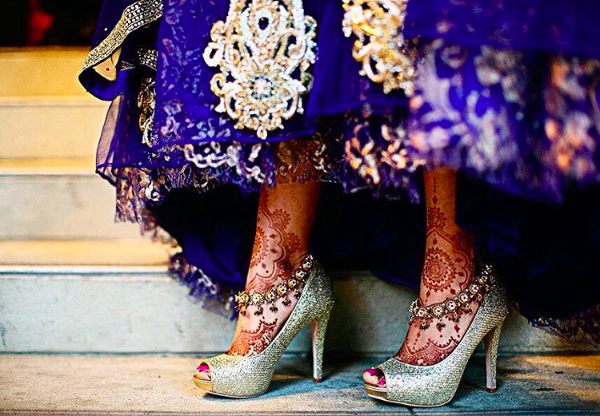 Wedding calls for bling and bright colors but bridal footwear should be limited to specific colors like red, silver, gold or maroon. Rose gold is the most preferred color and is in trend these days. They look beautiful and add glam to your feet and bridal outfit. 1. After you’ve purchased the shoes practice, practice! Practice! Walk around your house wearing the footwear. Check whether you are comfortable while walking or even wearing it. 2. You can use a silicon patch to avoid shoe bite. You can also put a band aid on the high points of your feet to avoid any cuts in advance, many brides even switch to flats with floor-length outfits after the ceremony. 3. A bride is supposed to wear Payal and toe ring on her wedding day. So if toe ring is a mandatory thing, then avoid pump or peep toe or juttis as they might hurt. 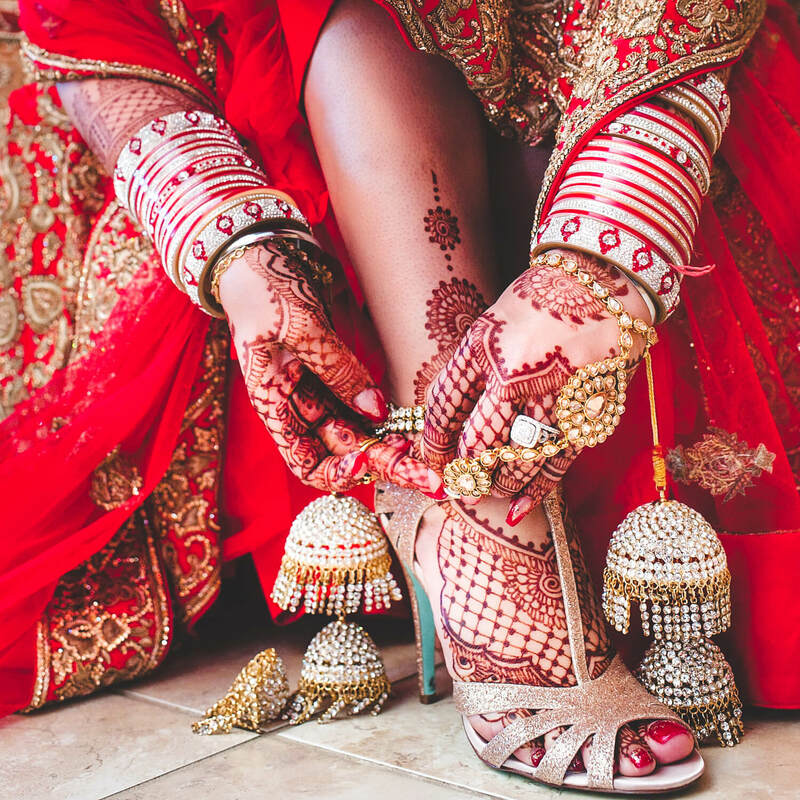 During the wedding, you might be a need to remove the shoes while in puja or other rituals. Prefer footwear that you can slip on and remove easily. 4. Last but not the least go for pedicure post wedding to relax and pamper your feet!